Sharon McClellan is the Director of Clinical Services, which is available to assist consumers of residential and employment services in maintaining physical and emotional well being. Sharon joined The Arc in May of 2003 as a Home Interventionist with the Parents and Children Together Program. In September of 2006, she accepted an additional position as School Social Worker for the Jerry Davis Early Childhood Center. In April of 2008, she was promoted to Director of Clinical Services. 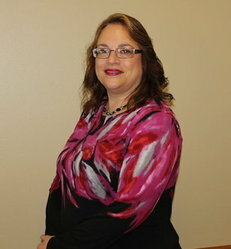 Her previous experiences include Adjunct Instructor at the University of Connecticut School of Social Work, Developmental Disabilities Service Coordinator for the Wheeler Clinic in CT, Executive Director for the Plainville Arc in CT, Director of Quality Assurance for Connecticut Independent Living and Facilities Inspector for the CT Department of Mental Retardation. Sharon has an M.S.W. in Social Work Administration from the University of Connecticut School of Social Work, with a minor in casework and a certificate in gerontology. Additionally, she has a B.S. from the University of Connecticut in Human Development and Family Relations. She is also a licensed social worker (LSW) in the state of NJ, a certified School Social Worker, and is certified as an instructor in “Nonviolent Crisis Intervention” and “Dementia Capable Care”.